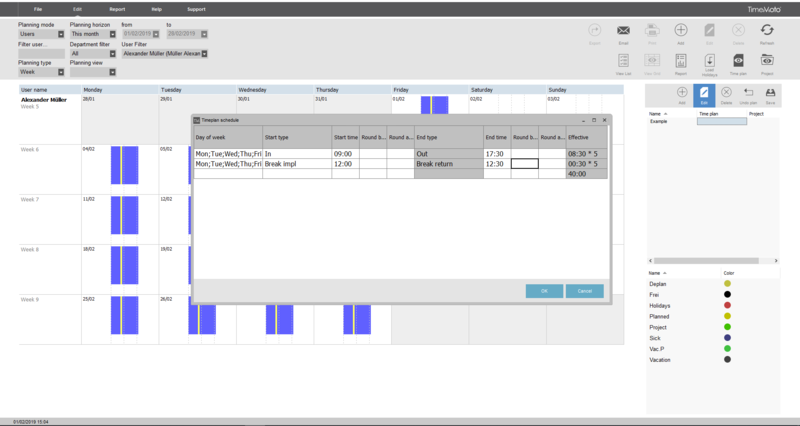 In the TimeMoto PC Plus Software, you can use the Planning function to have more flexibility in assigning work schedules. In this article, we will explain how to create and schedule flexible work schedules. Select [Edit] > [Planning] in the software. 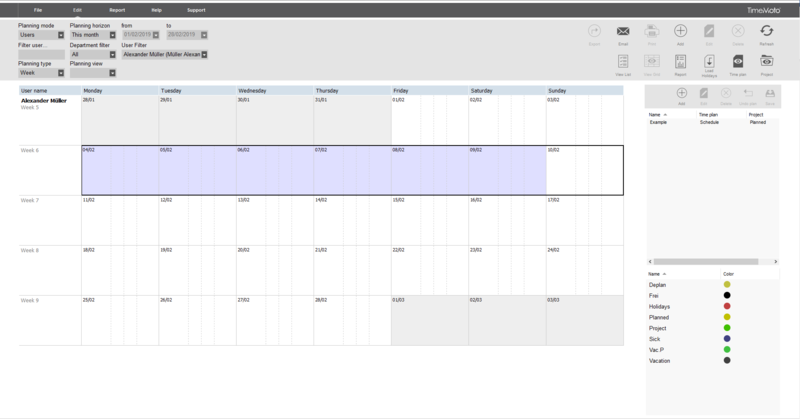 On the right-hand side, you can create new work schedules. Click on the “Add” button to create a new work schedule. Select the new empty entry in the list. By double-clicking in the field under “Name”, you can give the schedule a name. Give it a name that is clear and describes the use of this work schedule. Next, select the field under “Time plan”. Once selected, click on “Edit”. A new window will appear. Important: in a flexible work schedule, you cannot create work schedules consisting of hours per day, week, or month. Also, you do not have the option to include flexible breaks. Once you are done configuring your flexible work schedule, press “OK” to confirm and save it. Finally, select the field under “Project”. Double-click it, and select “Planned” from the drop-down menu. This will indicate that this work schedule is planned working time. You are now done setting up your flexible work schedule. We can now start scheduling it. 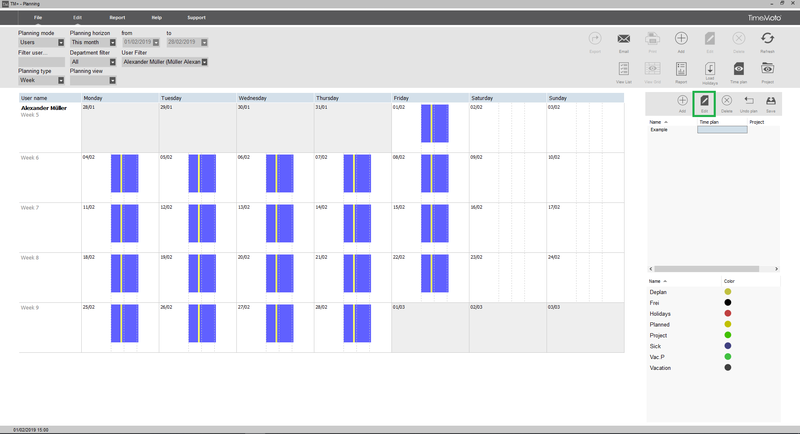 The easiest way to schedule a flexible work schedule is by using the Planning’s grid view. Under [Edit] > [Planning], click on “View grid” on the right. Select an option under “Planning type” on the left. You should now see the grid view. 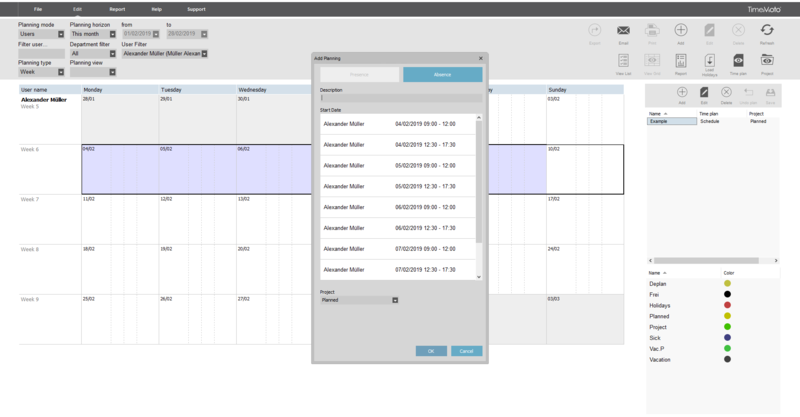 Select a user for whom you want to put in the flexible work schedule. In the grid view, select a period by clicking and holding your left mouse button on the first day, and dragging it across the entire period you want to schedule for. 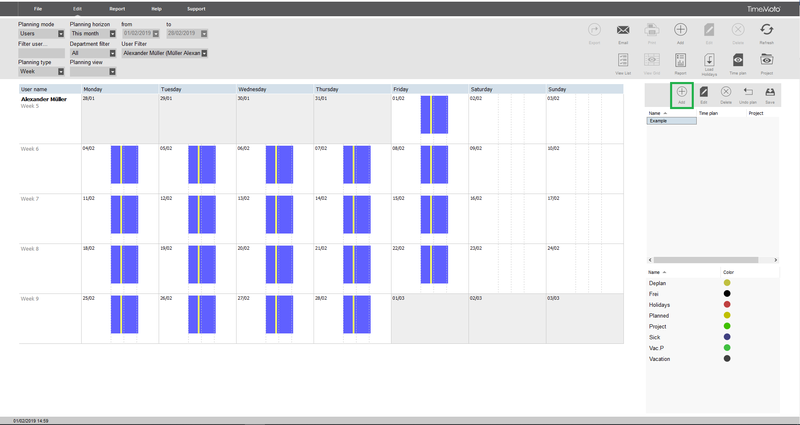 Once selected, click and hold the name of the work schedule on the right, and drag it onto the grid view. A window will appear, in which you confirm your action by clicking “OK”. 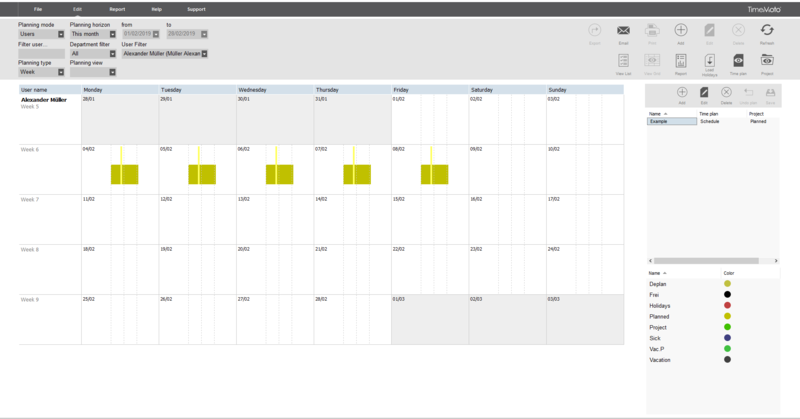 Colored bars indicate that the work schedule was planned successfully. Important: flexible work schedules will only be scheduled on days the work schedule can be scheduled in according to its settings. If, for example, your flexible work schedule cannot be scheduled on a Saturday, but the highlighted period includes a Saturday, it will not be scheduled on a Saturday. 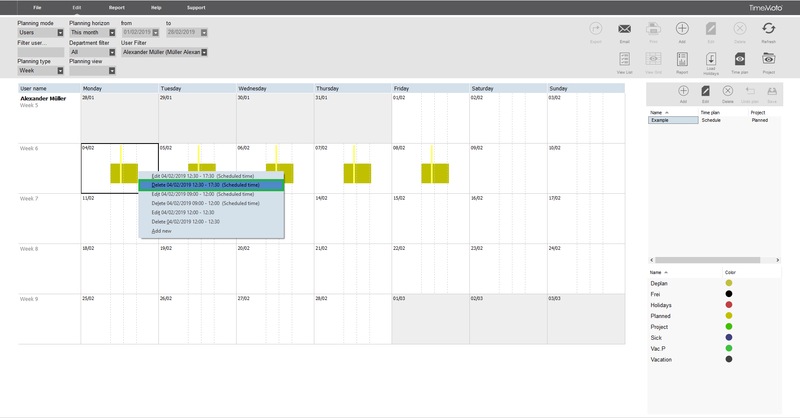 You can remove a scheduled flexible work schedule by right-clicking the day in the grid view. Select “Remove” from the menu to delete the entry.